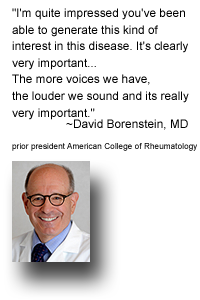 We love the opportunity to talk to and interview healthcare professionals and to highlight those we see who are doing an outstanding job in the field of rheumatology. We originally connected with Dr. Paul Sufka online through the use of Twitter, and through a "Tweet-Up" event at the 2012 American College of Rheumatology (ACR) Annual Meeting. Dr. Sufka graciously agreed to an interview with us and we are pleased to share a piece of his story with you. 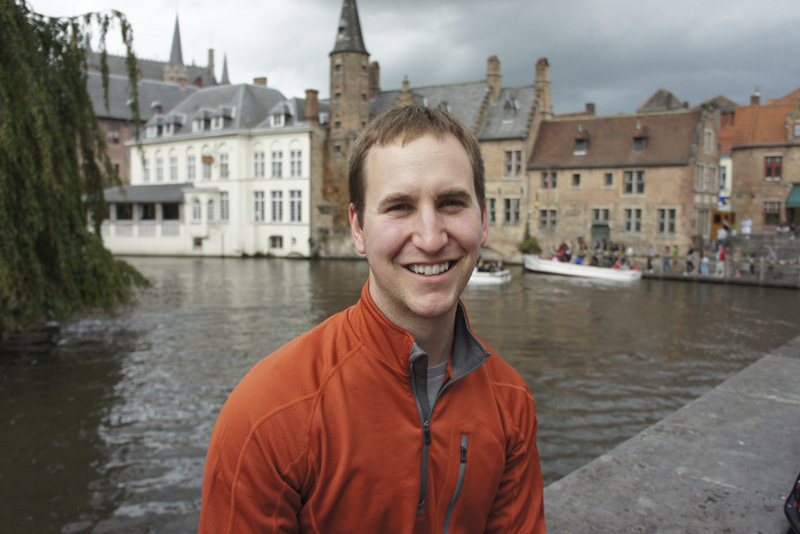 Dr. Sufka is originally from Minnesota, though he spent his high school and undergraduate years in Michigan. He attended the University of Iowa for medical school and did his internal medicine residency, a chief residency and a rheumatology fellowship at the University of Minnesota. He currently resides in Minnesota with his wife, "an energetic toddler," and a shih-tzu. In his free time, he enjoys "voraciously reading and working out." Dr. Sufka currently works as a rheumatologist for HealthPartners, a large multispecialty group practice based in St. Paul, Minnesota. Somewhere between practicing rheumatology, and balancing a family, Dr. Sufka has managed to take on several side projects. "A few of my current side projects include RheumJC, a Twitter based-rheumatology journal club, consulting for healthcare technology startups, and completing work on ArthritisProject.com, which I intend to be an online course (or possibly series of courses) for people with arthritis." Dr. Sufka hopes that the website -- including a combination of educational articles, videos and worksheets -- will be ready to launch by mid-year. As someone so actively involved in his field, we wanted to know what originally got Dr. Sufka interested in rheumatology. "I'll be honest", he says, "I first thought I was going to be a cardiologist or critical care doctor, which I did really enjoy for short bursts during residency, but found myself much happier after doing a rheumatology rotation, where I saw the chance to form relationships with patients and have impact on their lives over longer periods of time." 1. "Be honest with your doctor about how you’re doing and what you’re doing. If you’re not taking a medication because of side effects, let us know, because we might have tips to minimize them or can offer something alternative to try." 2. "When patients give my nurse 1-3 questions written on a piece of paper that I can look at before entering the room, I often feel that I can think of (or look up) better answers or solutions than when I'm thinking of answers in the room. This being said, the key thing is spending a couple minutes preparing to get the most out of your appointment." As a consultant and avid user of technology, we asked Dr. Sufka how technology has enhanced the way he practices rheumatology. "I don’t think most patients would notice during a visit how I use tech", said Dr. Sufka "I review each patient’s chart before I enter the room, and then try to only look at the computer when I need to remember something specific or when I’m entering orders. I haven’t come across any tech that I think really enhances a human-to-human interaction in clinic, and I don’t think we’ll really find a way to speed this up." I think most of us would agree that there's not much that can beat real face-to-face communication. However, outside of the exam room, Dr. Sufka says, "I have numerous systems in place to optimize the multiple inputs that require physician time and attention, so that I actually have more time to spend with patients." In 2015, Dr. Sufka actually presented information on this topic at the American College of Rheumatology Annual Meeting. "Unfortunately," he says, "modern EHRs [Electronic Health Records] are not designed for efficiency, but I’ve figured out a number of my own workarounds." Creating efficiencies in the behind the scenes work to allow more time with patients sounds like a very positive way to integrate technology. People with rheumatoid disease (PRD) know how much of a challenge it is to live with this chronic illness, especially those who are "outliers" and whose disease pattern doesn't follow the mean. The flip side to that is the challenged posed to healthcare professionals tasked with treating PRD. When we asked Dr. Sufka what he thought was the greatest challenge facing rheumatologists today, he responded with an answer that is also one of the greatest challenges for patients: lack of availability. "Patients already have a difficult time establishing care with a rheumatologist," he says, "often waiting several months for an initial visit, and then often have a difficult time being scheduled for follow up." Dr. Sufka points to an abstract presented at this year's ACR Annual Meeting in Washington D.C. titled 2015 ACR/ARHP Workforce Study in the United States: Adult Rheumatologist Supply and Demand Projections for 2015-2030. "The study shows that in 2015 there are the equivalent of 4,997 full time rheumatologists in the U.S, which will decrease to 4,470 in 2020; 3,645 in 2025; and 3,455 in 2030." Dr. Sufka's response to this data? "Yikes!" Yikes is right. Unless something turns around, availability will become an increasingly larger challenge down the road. Living with rheumatoid disease can be scary -- especially for those newly diagnosed. We asked Dr. Sufka what his best piece of advice would be for somebody who was just recently diagnosed with RD. His recommendation was to "start by becoming educated about your condition: really try to understand the risks of rheumatoid disease and the treatment options, along with potential side effects of each of these. You’ll learn that there are an ever increasing number of options to treat your condition, so if initial treatments are not working or if you have side effects, we typically have a list of alternatives to try." He also says that "when you’re educated about your condition and options, you can have a much better discussion with your doctor and will typically do much better in the long run. This also allows you to explain what you’re going through to friends and family, who often won’t have any point of reference to understand what you’re going through." We agree that education is crucial and encourage anyone with rheumatoid disease to check out our resources section for links to additional information -- and we look forward to seeing the materials that Dr. Sufka is putting together through ArthritisProject.com. Despite the many challenges we face, if PRD do their part to educate themselves and share honestly with their physicians, and if physicians do their part to maximize and make the most of the time they do have with patients, we can see improvements in patient care and outcomes. Find Dr. Sufka on the web at http://paulsufka.com/ and on Twitter @psufka.